It’s been a minute since the last Telephoned release, with producer Sammy Bananas and singer Maggie Horn charting their own solo courses throughout the musical universe. But the two have linked back up for Maggie’s first solo EP, Never/Know, which you can download now on her Soundcloud! Perfect afternoon vibes, check it out then revisit the two FG Telephoned EPs (streaming after the jump) to keep your pop buzz going thru the night. Following up last weekend’s crazy Danny Brown performance, you can catch even more Fools performing atop Uniqlo’s mobile TruckShop in NYC this Saturday (4/13). 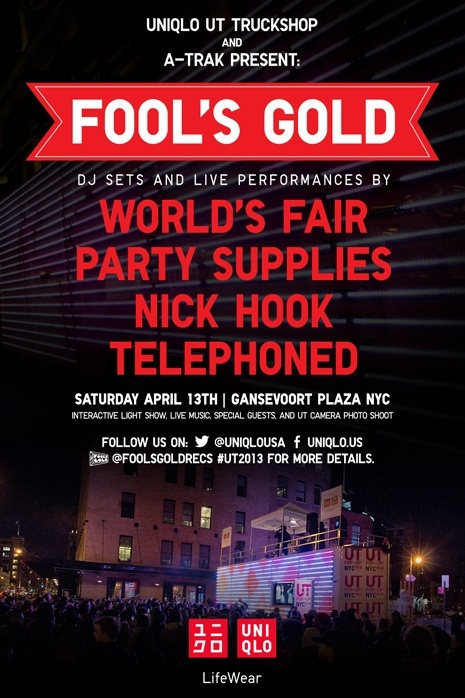 Head over to Gansevoort Plaza (Gansevoort St and 9th Ave) to catch a live performance by World’s Fair and DJ sets from Party Supplies, Nick Hook and Telephoned. Find out more about the free hangout at uniqlo.us/UTfoolsgold. 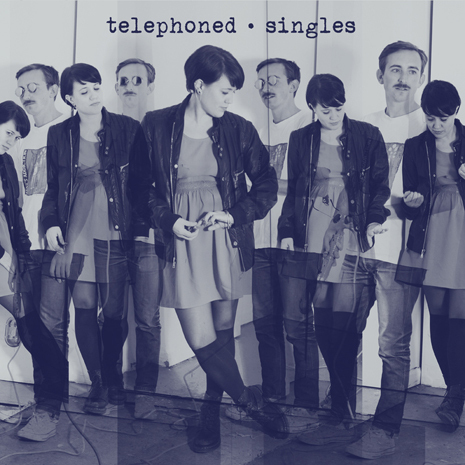 The free Telephoned EP Singles is the duo’s grunge valentine, covering cuts from Cameron Crowe’s soundtrack over Ryan Hemsworth beats. Sammy and Maggie turned Seattle rockers into R&B slow jams in the process (even CC himself approves, tweeting at Telephoned to do “Dyslexic Heart” and “State Of Love And Trust” next!) and now they’ve dropped a video for their take on Screaming Trees’ “Nearly Lost You” (put together by our own Josh Wehle). Telephoned play live at Cameo in Brooklyn on Sunday, January 20th, alongside Cookies and Tubetops. Go vibe out with them! 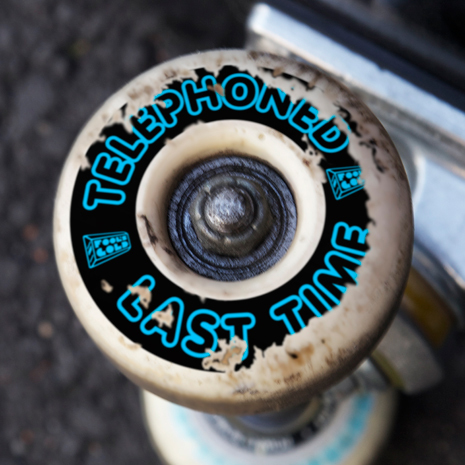 And check out Telephoned’s U Don’t Have To Call (more “cover ups,” this time over Clams Casino beats) and their “Last Time” single for even more. 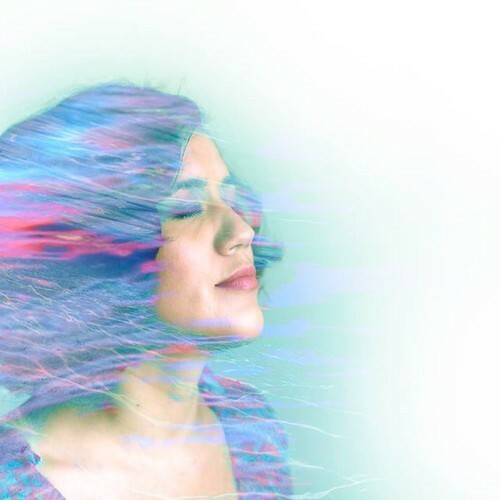 Fool’s Gold’s resident dance pop duo Telephoned slow down the BPMs for “Last Time,” a swirling end-of-summer jam built on jumprope melodies and Aqua Net synth lines that you’ll be humming well into next year. Get it now on iTunes! Fool’s Gold’s resident dance pop duo Telephoned slow down the BPMs for “Last Time,” a swirling end-of-summer jam built on jumprope melodies and Aqua Net synth lines that you’ll be humming well into next year. Once again, the talk of the town for Labor Day weekend in NYC is our annual, free DAY OFF bash, going down this Monday, September 3rd at the City Winery Backyard. This all-ages downtown staple features a who’s who of party heroes from the label’s friends and family: French Montana, Danny Brown, Brothers Macklovitch, Just Blaze, Flosstradamus, Flatbush Zombies and many more impossible-to-miss acts. Our legendary free, all-ages DAY OFF party returns to NYC this Labor Day, September 3rd at City Winery Backyard (155 Varick St). For the third year in a row, we’re bringing together the world’s best DJs and MCs in true downtown style: New York City’s new rap kingpin French Montana, FG’s own superstar Danny Brown, the ever-stylish Brothers Macklovitch, the multiplatinum, multitalented Just Blaze, trap kings Flosstradamus, Brooklyn phenoms Flatbush Zombies, and many more, including Nick Catchdubs, Ricky Blaze, Party Supplies, #BEEN #TRILL, Telephoned and special guests.